So excited to introduce the "Let’s Eat Cake" Stationery/ Planner Kit! 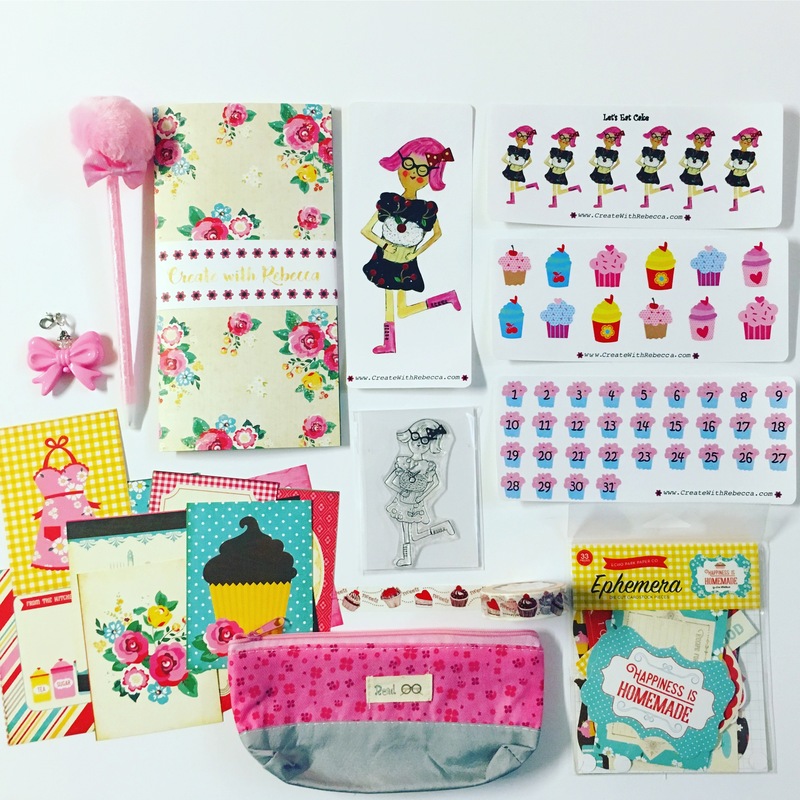 This SWEET kit welcomes Brazos Cupcake into the planner/ stationery world!! Brazos Cupcake, the adorable pink haired girl, is part of a series of Adorable Cupcake Girls I created to make you smile! She is kicking up her heels and excited to be part of this pink themed kit. 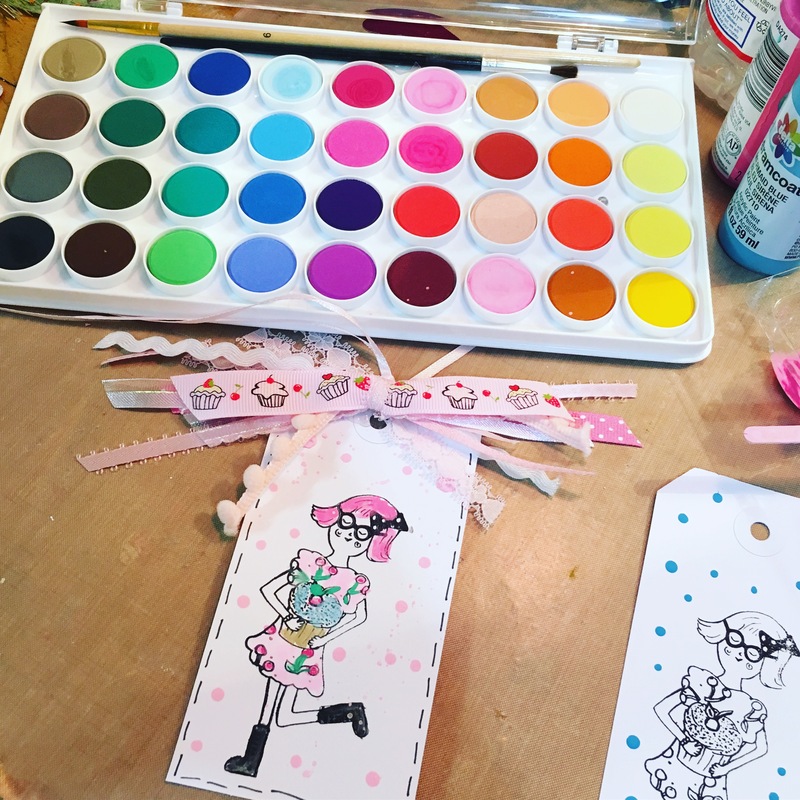 This kit is filled with so many sweetly pink colors and whimsical goodies it will make you kick up your heels too. I have to say one of my FAVORITE things about this kit, is the stamp! This is the first ever stamp I have created and I am in LOVE!!! 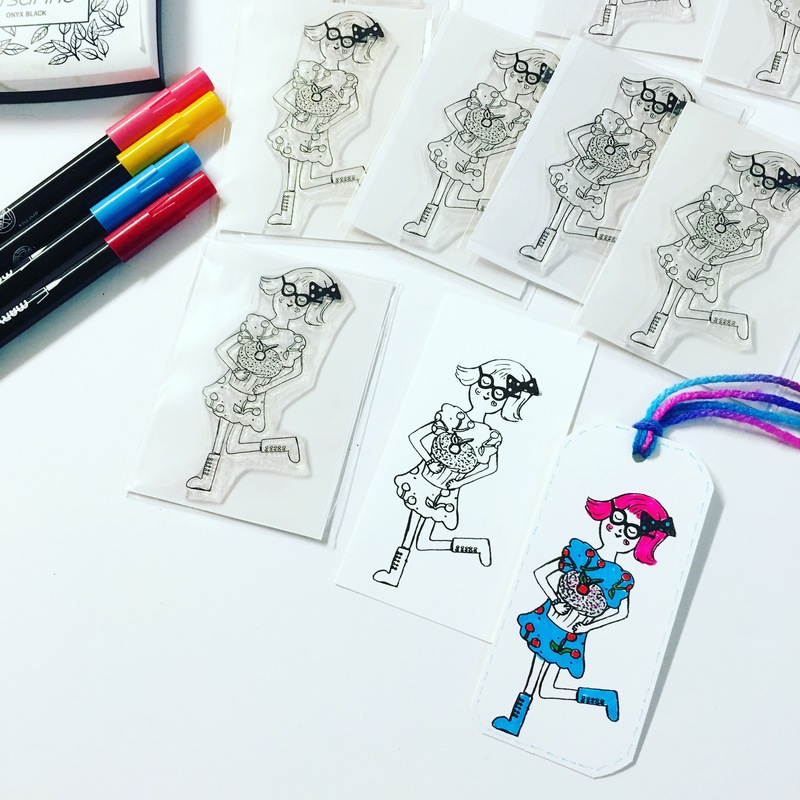 I’ve been adding her to tags to use in my journaling pages. I recently purchased new watercolors so I used them to fill in her dress and hair. I have so much fun putting these kits together! 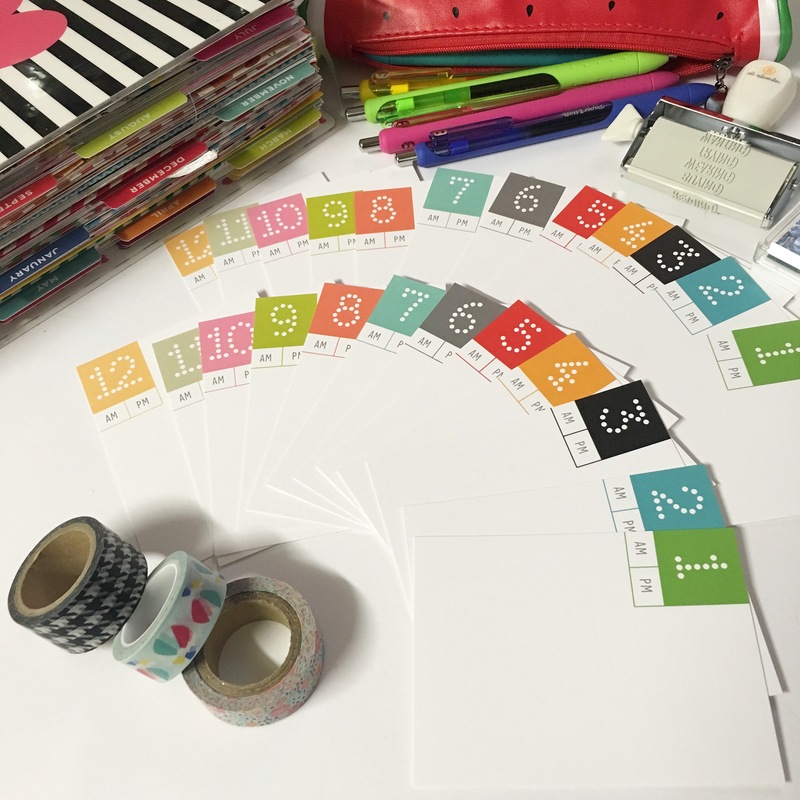 I want to make these functional so you can use them in any planner and paper crafting project! You can purchase the kit here. I was able to use many of the stickers and items I received in the swag bag. 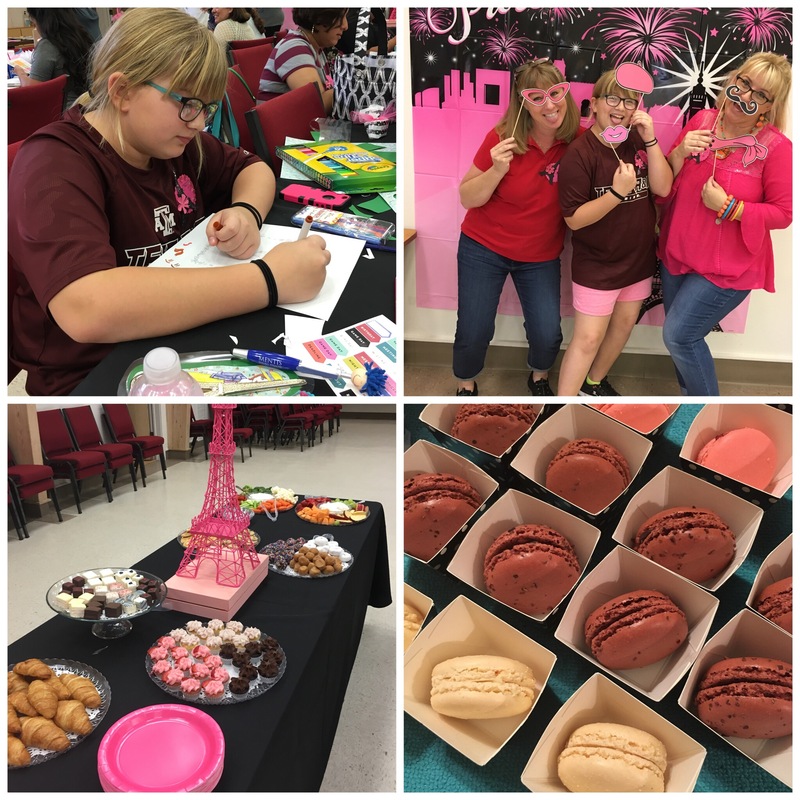 Here is a quick view of all the lovely Paris themed items! More sneak peeks of the upcoming July kit will be happening on my instagram page and facebook page, be sure to follow along. Hello! I am so excited to show you the final flip through of a ‘A Week In A Life’ Creative Documentation for April 2017. This is a class/ follow along memory keeping project created by Ali Edwards. I absolutely LOVE this project! This is an opportunity to be able to document the everyday and remember how our daily lives were lived. From what we ate, to chores to really fun memorial events. Tomorrow is documenting a Day in a Life… same concept but only for a day. I was so excited because tomorrow is my birthday. It will be fun documenting my birthday hour by hour! Be sure to follow me on Instagram @createwithrebecca to follow along! Hello! Currently, I am creating in my summer junque journal and using his to document main events that happen over the summer. Memorial Day starts the summer here in the USa and my son happen to graduate over that weekend. In this video I create a page for my son’s highschool graduation. I have named this session 1 in hopes to create many more videos over the summer! Hello! It’s time for another adventure in documenting a Day in A Life, a follow along course by Ali Edwards. I plan on following the same process as I did last year which is documenting in my Happy Planner memory book. Last year it worked out well and it fits right into the daily documentation. You can view the video here. I also purchased the journaling cards and stamp from Ali Edwards and am really excited about using them. *Making Up a carry along bag for items such as pens and a jot it down notepad. On a side note the day of documentation is my actual birthday and I have absolutely nothing planned except to work. Sounds so mundane! I may have to see about changing that up! If you are interested in playing along, be sure to check out Ali Edwards Site for additional information! Hello!! 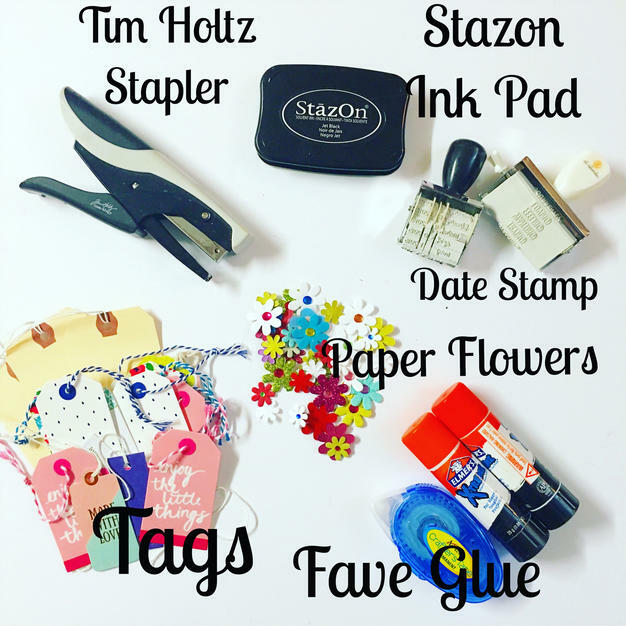 When I was creating this blog post I felt a little guilty because I love all papercrafting and journaling supplies and it is difficult to pick just ten items, because I LOVE so many supplies! 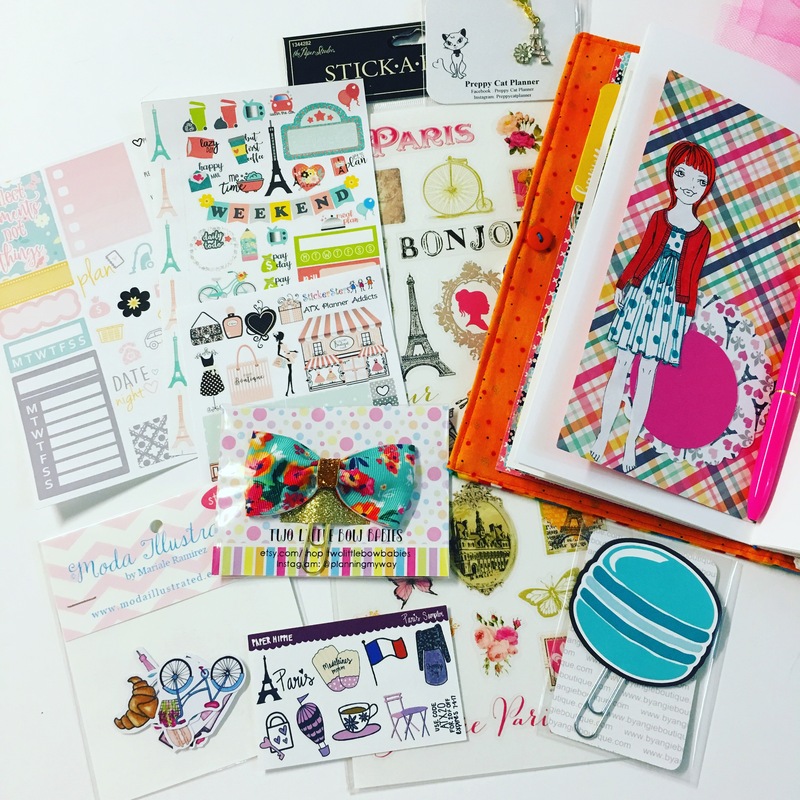 They all add a little something special to your journaling. My theory was to go to my creative space and pick items that sit and stay on my crafting table, and this is what I selected. Tim Holtz Stapler~ this is a mini stapler. I love it! Perfect to adding ephemera with a secure hold! Stazon Ink Pad~ This Ink can be used on almost any surface and doesn’t smudge. Nice clear image too! Date Stamps~ I first started using these when I was using a Project Life Album. Perfect for adding the date to any photos and pages. Paper Flowers~ Need I explain? I love paper flowers and Hobby Lobby always has a great selection and will run frequent sales. Favorite Glue~ Elmers Extreme is the glue I use all the time, I d not have to worry about items becoming unglued down the line. I am not overly picky about tape runners but this is the one I’m using currently. Tags~ Layering with tags and using them to journal on are fun, plus I love the texture of the string on my journaling pages. Watercolors~ I love adding watercolor to paper. I love how it can create a soft or dark color and how it adds the little bit of wrinkle texture. So many possibilities. Journal Cards~ True confession, I am a journaling card addict, here are so many wonderful designs and artists that have created journaling cards. I love how they come with different graphics and quote. 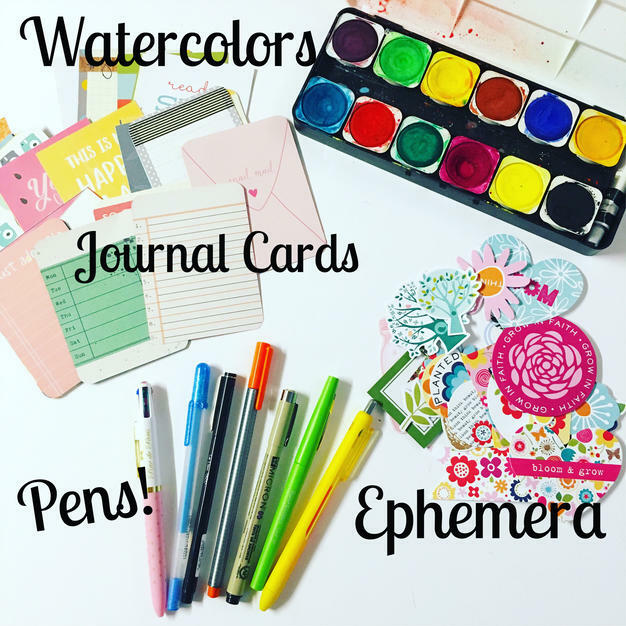 I use them for layering and adding different elements to my journaling pages. Ephemera~ Diecuts! 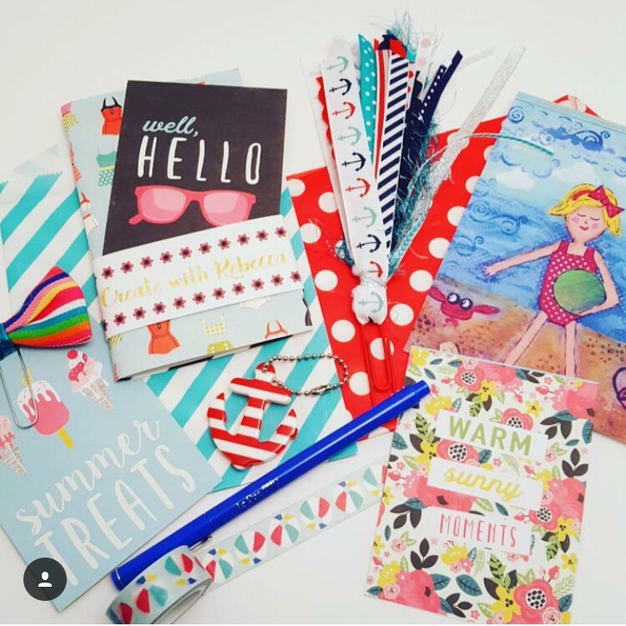 All are just as wonderful as the journaling cards! This is another addicition. Diecuts are so universal and can be clipped in, glued, layered, and hung in yor journal. Pens!! ~ That is a given! Pens are a necessity. These are the pens I carry in my pencil bag, from leaft to right: Ballpoint pen, Sakura Metallic Gelly Roll Pen, LePens, Staedler fine point pen, Mircon .05, Paper Mate Falir, and Paper Mate Ink Joy Pen. All are wonderful in their own way and most come in a multitude of colors. 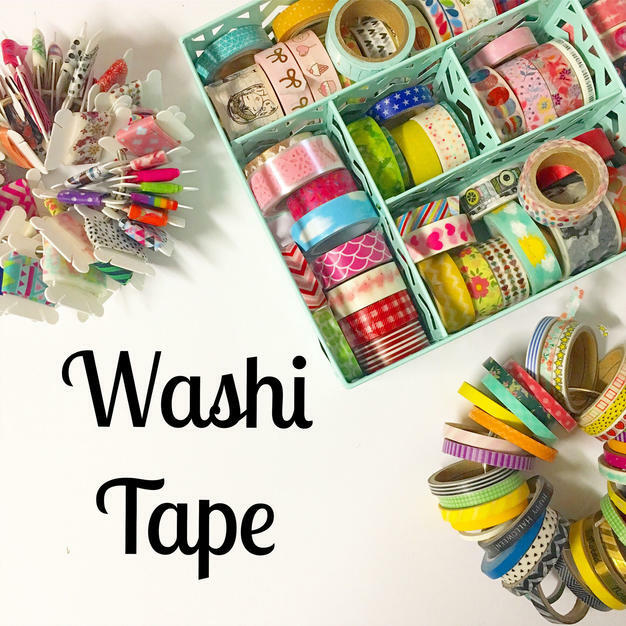 And last but not least WASHI! I use Washi on every journaling page and I wonder how I lived without it! It adds so much to the smallest areas and so, so, so many different colors and styles. 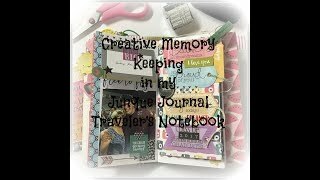 Now I know there is so many more products I use to be creative in my journaling but when I pack for a trip these are my top 10 favorite supplies and of course my journal! Hello! Its full on summer hear in Texas! Although I’m a cold nature person, and run my space heater at work in the middle of the summer because the air conditioning is so cold, when I step outside it full on heat! This makes me dream of the beach, ice cream and having fun! 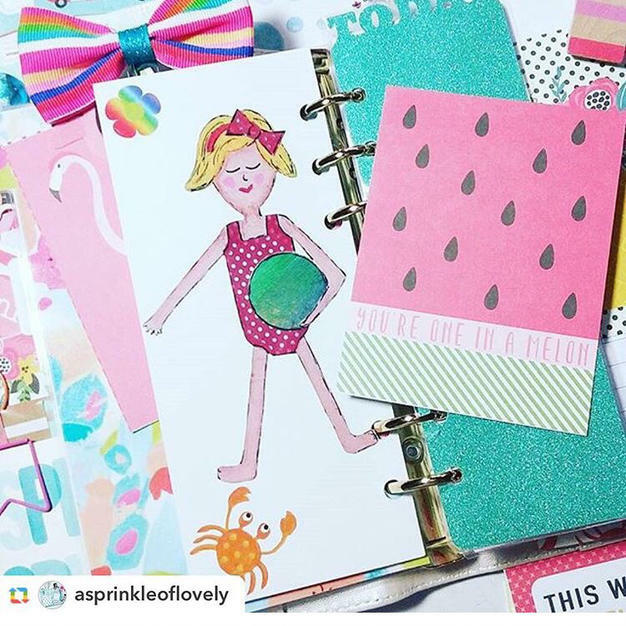 The June Stationery/Planner kit is all about the summer and having fun! 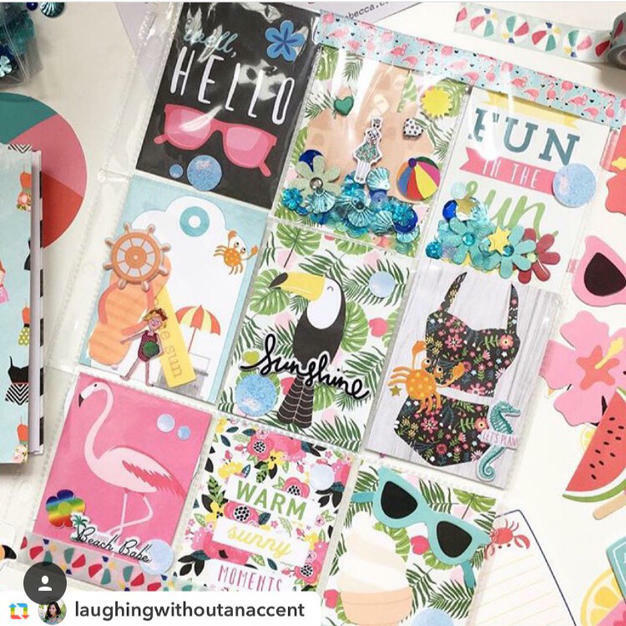 The Create with Rebecca Kit Crew also is having fun with their Kit, Lucia with laughing without accent made this beautiful pocket letter. Jill with a Sprinkle of Lovely also adorned her planner with Lucy and the striped bow clip that came in the kit. Tessa created a video to show what all comes in the kit and you can watch it here. So much fun! 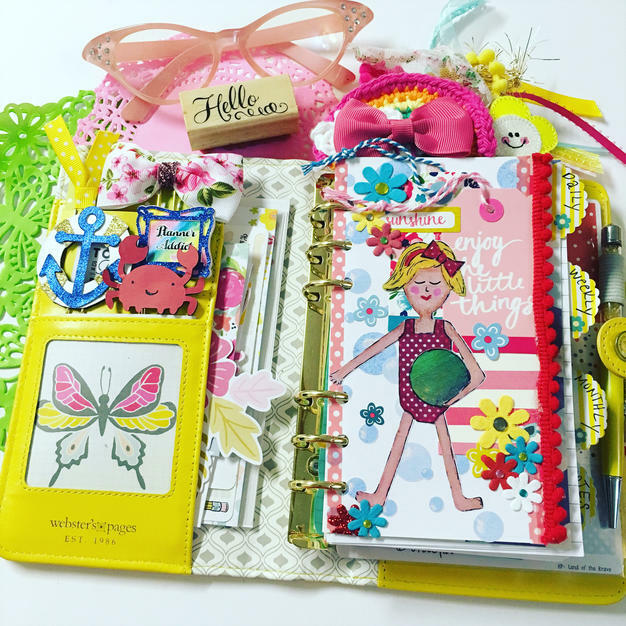 I’m excited to use bits of my kit in my creative journaling on an upcoming beach trip we have planned!